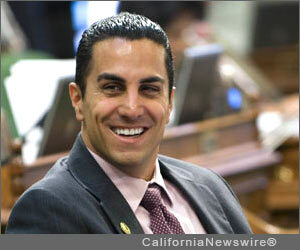 HOLLYWOOD, Calif. /California Newswire/ — Calif. Assemblyman Mike Gatto (D-Los Angeles) and Senator Kevin de León (D-Los Angeles) announced today that they will introduce a comprehensive film- and television-production tax credit and other related policies in the 2014 legislative session. Gatto and De León expect to introduce the bill in January 2014, when the legislature returns from interim recess. Since the passage of the last film-tax credit, Gatto and De León have been meeting tirelessly with all affected parties, to try to determine how to improve California’s policies. The Appropriations committees of each house are the final stops for all fiscal legislation before it hits the Senate or Assembly floor. Film and television production jobs are especially important in Gatto’s district, which includes the cities of Burbank, Glendale, and Hollywood, communities that are home to numerous film and television studios and post-production facilities, including world-renowned studios DreamWorks, Disney, Universal, and Warner Bros. The vitality of the California entertainment industry determines the livelihood for thousands of workers in the industry who live in Gatto’s and De León’s districts. Both Gatto and De León are close with Los Angeles Mayor Eric Garcetti, who has made revamping the tax credit a major policy push. “I remember when our communities lost all the good aerospace jobs,” said Gatto. “Losing major employers really harms the local economy, so we must do everything possible to make sure that good jobs stay right here.” Gatto is the California State Assembly’s representative on the California Film Commission. The Commission offers production and location assistance, and administers the tax credit. In the last several months, Gatto and De León have focused their meetings with “below-the-line” workers and local small production professionals affected by the flight of investment. Gatto’s staff has also been collecting think-tank reports and all studies available, to evaluate what works best in the current credit and what needs to be improved to maximize its effectiveness. Senator De León and Assemblyman Gatto invite the public to share their thoughts on how to make the tax credit work best. “We look forward to hearing from constituents from all sectors of the entertainment community to find out how we can make the tax credit work more effectively to improve and expand California’s economy,” said Gatto.